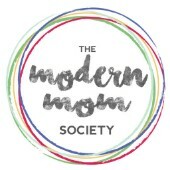 Find everything from your favorite Modern Mom Society experts here! Experts are listed in alphabetical order by first name. Modern Mom Society Podcast – Episode 3: On starting dental care for your children, how to prevent cavities, preparing your child for visits to the dentist, when to start orthodontia & more! Modern Mom Society Podcast – Episode 11: How busy moms can prioritize their health by eating more and exercising less and the importance of minimizing toxins in personal care products, especially with kids!